I'm Jayakumar born in a village called Sivakalai in Tirunelveli, south Tamilnadu, India. This village doesn't have schooling after 5th standard. I was not put into schooling by my grandparents as they are busy with family business. I did not stay with my parents as they work to run through penury. My father strived hard to bring light to my family & get basic needs. I was taken to Chennai (a metro city in Tamilnadu) & put up in schooling. My first inspiration was my class teacher. Her name was Geetha. I learnt the respect & punctuality attitude from her. I was boasting off myself for my consistent 1st rank holder. When I reached standard V, I was reminded for my poor boasting character by my friend, Shankar. I really thought boasting as pride which turned as eye opener to me when my friend kept his nerves calm though surpassing my boasted top rank holder. I had indeed short temper character which made me a reluctant person to work as team. I never had group study. I always stayed aloof. My Tamil (language II) groomed me through various ways to reduce my anger & keep good temperament on crucial situation. I must thank my Mr. Arumugam (Tamil Teacher) for shaping me & guiding to right path. I came out as school 2nd in SLC examination. I had wrong judgement on my academic results & dreamt on medical science education. But I could make it success enough to join engineering. I didn’t know that I’m not easy going person & reserved since I joined engineering. I resent being part of a group. I got frustrated when it comes to depending on others. I have to wait for my friend at bus stop for his arrival, which I hate most of the times. But unknowingly I learnt the character of patience. But when I got an opportunity to organize people for our cricket team, I learnt the art of planning & time management. Time passed & came out with colours finishing my graduation. I had the same confusion of normal student who pass graduation. Whether to go for work, or higher education. But I had different confusion. If I go to work, should I join IT sector or manufacturing. If manufacturing, will it be design, production or quality. If IT, does my 3D modelling skills alone would be sufficient or do I need to join computer courses to equip myself to compete IT graduates. I met Muthuswamy, who was working as manager for a private concern. He was eyeing be for couple of months & my skills in 3D modelling. He approached me for joining his concern as draftsman. When I approached the company, I was told to work for 6 months at free of cost & placement would be confirmed based on my performance during my tenure. Though I was reluctant initially, Muthuswamy made be convinced & he had confidence on my skill. I really reached heights when he showed confidence on my when I didn’t have. I realized the self-esteem & started my career. I had an opportunity from MNC based in Coimbatore to work as quality engineer. My career started shaping better. My manager Lakshminarasimhan is my mentor, till today, though I became a manager of a company when I write this bibliography. I learnt the soft skills like communication, presentation, time management & most importantly people management stills from him. He showered the lime-light of social & ethical ways of business processes. Consider EQ & IQ while taking decisions on business needs. He never did micro management which aspired me & looked him as my guru. He was my inspiration in handling customer needs & fulfilments. He never sets subjective, lofty & impractical objectives & always strive to look for data driven when comes to need for analysis & solutions. Till today I take the work culture inculcated & sowed in me which grown as tree & ripen fruits to my successors. I strongly believe that each person has strength & weakness & though you don’t the ability to find in yourself, one should try to capitalize & improve upon when identified by someone else. Today I work as manager for Daimler AG, a Mercedes Benz brand product manufacturer. I must take this opportunity to thank every good person I find in my way & made my life a meaningful one. Well said, success is definitely a way to destination. I have come across many articles from essay service on how to be successful and key steps to achieve goals. 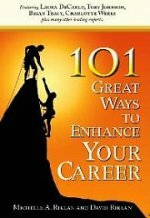 Here i found the best inspirational stories to motivate myself and choose the best path for career. Oh by the way, my email id is sujadeva@Yahoo.com.sg. I would appreciate if you could respond to me at the earliest. I also had tamil teacher Mr Arumugam, whom i am trying to locate. Which school in Chennai were you at & when did you complete Xth std? Your response & if by any chance we are referring to the same teacher may help us to locate his whereabouts now.